Pastor Joel Laswell was born and raised in Lafayette, Indiana, graduating from Harrison High School in 1981 and attending Purdue University until 1984. Pastor Joel was first introduced to Jesus by his brother in the fall of 1984 and was baptized in April of 1985. He met his wife, Debbie, the first day he attended church and they were married in 1987 and have three wonderful children... Joshua, Jared, and Andrea. Pastor Joel has had pastoral training from several educational sources and continues to learn at the feet of his Master, Jesus Christ, everyday. He has knowledge in most media fields including radio and television production and considers it a priviledge to use all his talents in his service for Jesus. 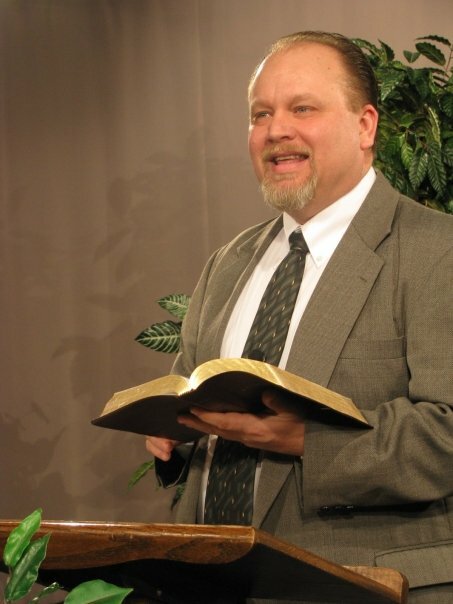 He was called into ministry by the Lord Jesus Christ on June 19th, 1998 and serves as Pastor for the Three Angels Sabbath-day Church in Lafayette, Indiana and Battle Creek, Michigan. His love for Jesus constrains him to use any method possible to reach people with the eternal truth of the Gospel and prepare them for the soon return of the Savior. Pastor Joel is the host of the television program, "The Bible Only", and the radio progarm, "Eternal Truth."